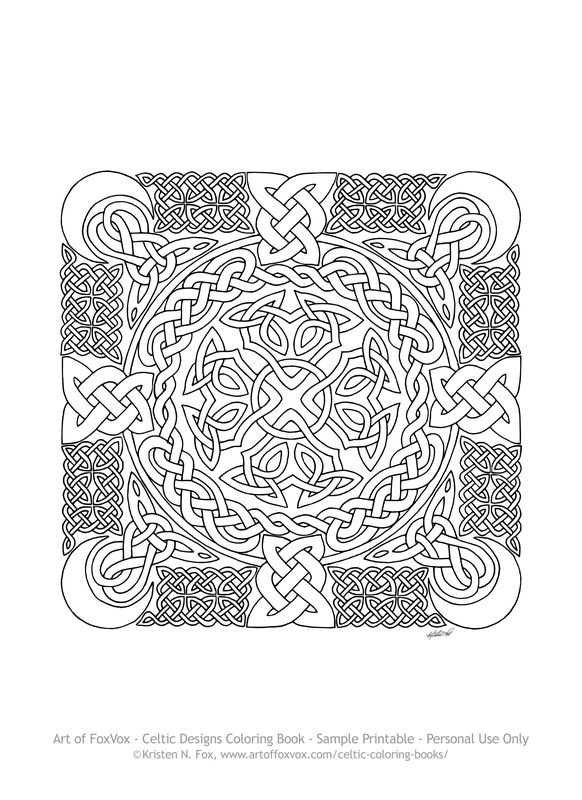 Here is another free sample page you can print and color! 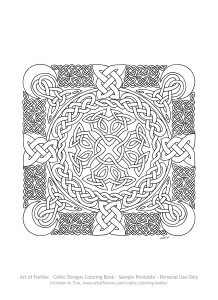 It’s from my Celtic Designs Coloring Book (with my original knotwork and spiral designs). All artwork is the copyright property of the artist, me, Kristen N. Fox. Please do not copy or use any of my art without permission. If you wish to use any of my art in a project, please Email Me and ask! Thanks! 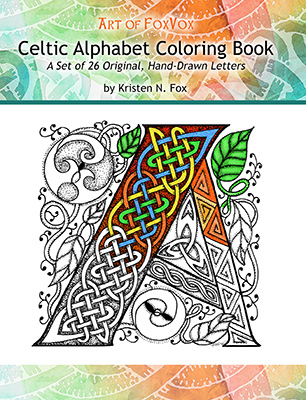 Looking for Art of FoxVox Coloring Books? Click Here! Art of FoxVox – Original Celtic Art, Fine Art, & Photography | Powered by Mantra & WordPress.